Greenville Why Choose Us - Dr. William W. Brown, Jr. Thank you for choosing Brown Dental Associates! Patients rely on Greenville, SC dentists at Brown Dental Associates for exceptional, stress-free dental care for the whole family. Our goal is to treat our patients like we would treat our own family members. We invite you to browse the website to get a better feel of what we do and find out why we are the best people to handle your dental care. Brown Dental Associates believes that the best dental care rests on a foundation of honesty and trust. Our consultations are friendly conversations about what you want to achieve with your oral health, and how you want it to be done. We will tell you what he sees and how he would fix the problem on his own family. You always have the final say in everything, from the treatment method, dental materials, the amount of work done, and when you want to start treatment. We will only recommend treatments that you truly need, and happily defer to your decision. Modern dentistry makes patient experiences safer, more comfortable and more convenient. Brown Dental Associates uses state-of-the-art tools and techniques like low-radiation digital X-rays, air abrasion or no-drill dentistry, digital photography and intraoral cameras, Easyshade color matching scanner, and crown color matching for stunning, lifelike restorations. We also offer sedation options for patients who want to reach a higher level of comfort. 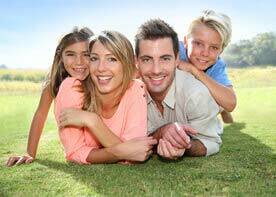 The best family dental care is also accessible. At Brown Dental Associates, we aim to maximize your insurance benefits and make any remaining balance easily affordable. The quality of the materials used and our skills and experience determine the cost of treatment. Please don’t hesitate to call us if you have questions about insurance coverage or you would like to review financing options before treatment. Make an appointment today with your dentist in Greenville, SC. Call 864-408-8873 now or schedule a consultation online.